Diabetes has a way of damaging feet without people noticing. High and fluctuating blood sugar levels take their toll on the lower limbs, weakening tissues and deadening nerves. Over time, this makes you far more susceptible to serious and potentially deforming conditions like Charcot foot, which can become deadly if allowed to get out of hand. Charcot foot is a serious complication of diabetic neuropathy. Nerve damage from fluctuating sugar levels impairs your ability to feel injuries to your lower limbs, so you may not notice when problems develop. High blood sugars also weaken your bones and supportive tissues, making them more prone to damage. The condition develops when the bones in your midfoot crack and begin to break down, but you are unable to feel the change because of the extensive nerve damage in your lower limbs. You continue walking on the injury, worsening it over time. The arch eventually dislocates and collapses, deforming your foot. Because the nerve damage has to be severe for this to happen, you may only notice some soreness, if any pain at all. Your foot will change, however. It will swell and your skin may appear red. Often your foot will feel warm to the touch. Your lower limb will be weak and difficult to use. The condition only worsens with time, too. Your feet need to be treated promptly to save them; allowing the breakdown to persist can lead to permanent damage and potentially life-threatening complications. The sooner Charcot foot is diagnosed, the easier it is to manage the problem and restore the feet. Failing to take care of the problem may eventually result in an amputation to prevent deadly complications. The Martin Foot and Ankle podiatrists will carefully examine the lower limbs to diagnose the problem and determine the extent of the damage. Most likely we will need some kind of diagnostic image to see the breakdown. Once we have a clearer picture of the problem, we’ll be able to help you treat it. Ultimately, the goal of treatment is to restore the collapsing bones in the midfoot so they support you again. Your foot will first have to be casted and all weight removed from the affected lower limbs. This eliminates damaging pressure on the feet and allows the swelling and inflammation to decrease. Once your bones have healed, you’ll begin physical therapy to help recondition your lower limbs to handle pressure and activity again. You’ll most likely need to wear special shoes or custom orthotics to support you and accommodate diabetic foot needs. If your foot has already collapsed and deformed, you will likely require surgery to repair and realign your bones so they can recover. You might need to have tight tendons loosened as well. Any bony prominences that may have developed from your foot collapsing might need to be shaved down or cut away entirely. If the bones are unstable, they may have to be fused or held together with metal plates or screws. Then the foot will be casted until you recover. Preventing Charcot foot before it happens is much better for your lower limbs than trying to recover from it. The best way to prevent this complication is to inspect your feet regularly for changes and to keep your blood sugar levels under control. If you do notice any changes or develop pain, have it investigated immediately. You should also wear appropriate shoes and have regular check-ups with specialists like the Martin Foot and Ankle team to catch issues you may have missed. 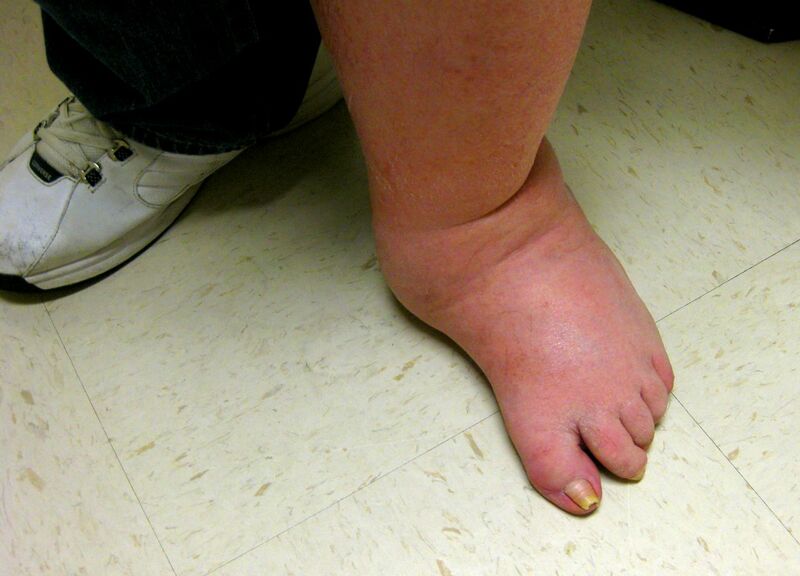 Charcot foot is a dangerous complication for diabetic feet that can lead to permanent problems or even amputations. Don’t let your feet deteriorate to that point. Contact Martin Foot and Ankle first to inspect and care for your diabetic lower limbs. We have podiatry offices in Lancaster, York, Lititz and Hanover, Pennsylvania. Make an appointment with us by calling (717) 757-3537 or using the online request form.